While holography might be the next big thing in optical storage, there are at least some researchers who believe that nanoparticles might hold the answer to future ultra-high-definition video storage requirements. As reported over on Electronista, researchers at Australia's Swinburne – no relation – University of Technology are working on a new optical disc technology capable of storing at least 1.6TB of data – with the possibility that the technology could scale to 10TB per disc. By adding nanoparticles along with a polarisation dimension to the optical medium, the team vastly increased the amount of data that can be stored on a standard-sized disc – up from the 50GB currently available on a Blu-ray disc. The key to the increased capacity is due to the number of dimensions available: where a standard optical disc has just the standard spatial dimensions to play with, the team's new format adds a spectral dimension along with multiple polarisation layers to bring. 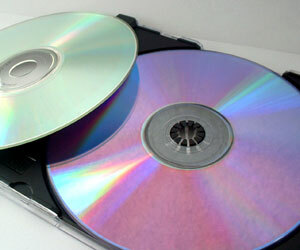 It is this technique – which uses gold nanorods along with projected lightwaves to record the colour and polarisation layers – which gives the discs their impressive storage capacity. Sadly, the technology is still some way away from commercialisation. The team admit that writing to the new format is painfully slow, requiring several different steps to record in the new dimensions. Despite this, the technology is already getting some interested glances from experts in fields including medical, military, and financial. Indeed, Samsung has registered an early interest and will be producing discs and drives – although no timescale has yet been announced.